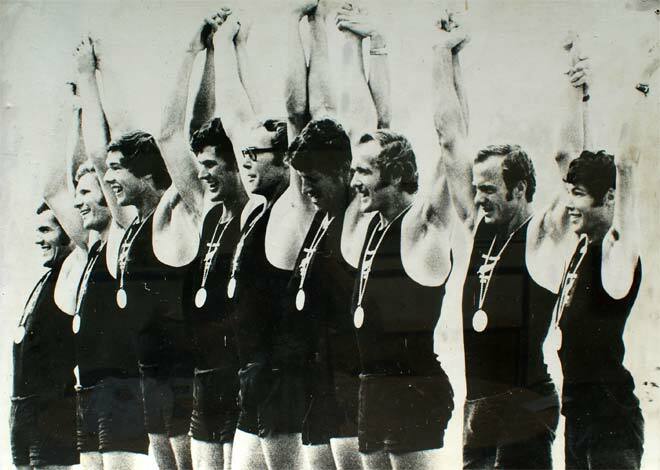 The rowing eight team celebrates New Zealand's only gold medal of the 1972 Munich Olympics. The race and medal ceremony were held at Feldmoching on the outskirts of Munich. It was the first Olympic ceremony where 'God defend New Zealand' was played instead of 'God save the Queen'.